Simple and sweet and full of natural touches. Kind of my motto when it comes to autumn. Though I do indulge in a few fun elements like those mercury glass pumpkins or faux candles- most of my autumn decor comes in the form of adding natural elements to the house. And the other word that fits my motto? and so something complicated to put together? I am a bit crazy busy with travel, holiday and wrapping up my book. And so, in between the new posts coming your way (can't wait to finally share the renovations with you!) 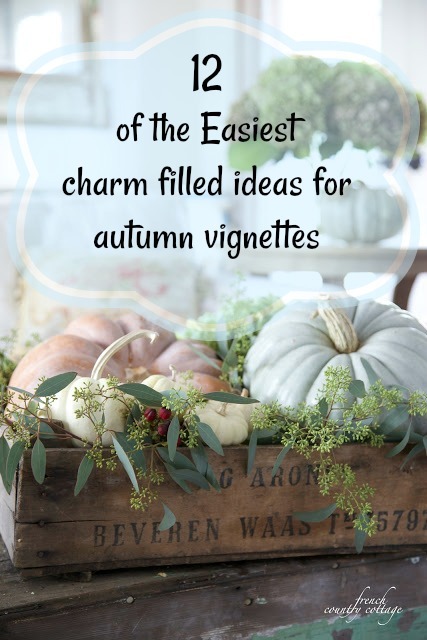 I am also going to be sharing some of my absolute favorites from autumns past that are charming and fun and EASY. and today-we are all about vignettes. way to add a touch of seasonal charm or just a charming 'moment' to a room. 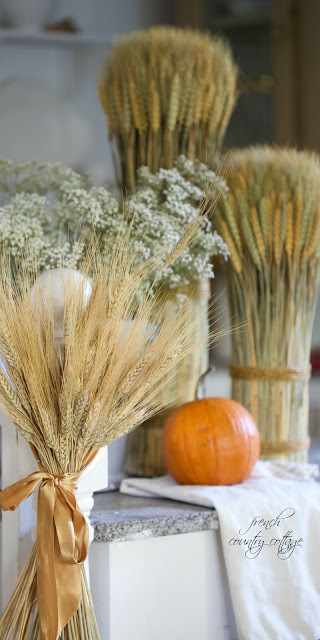 12 of the easiest ideas for creating vignettes for autumn. So many great ideas. 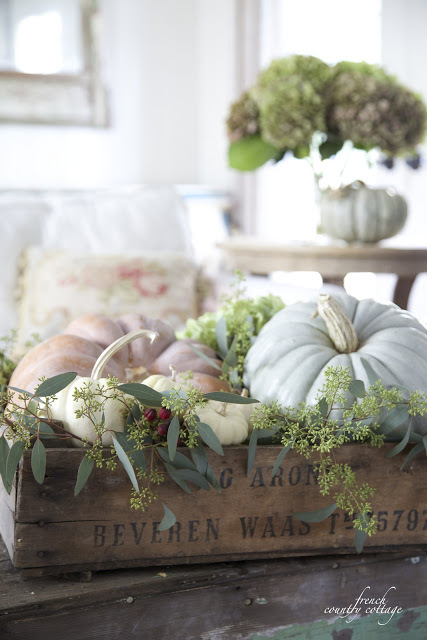 Your styling with the wooden crate, pumpkins and green foliage is sooooo pretty! I hope you, your family and sweet little dogs are doing okay. Our hearts are heavy for all who've been affected by the fires. Here at my home, which is a good hour from the fires, the sky is orange and we can smell the smoke fairly heavily now. Take care!